Unfortunately, the weather was pretty bad, and several budding cider makers were unable to attend due to prior engagements. I am happy to report though, that the repaired apple crusher, and the new apple press both worked well. I am proposing to hold a mini session on Saturday 11th October, starting at 12.00 pm until 5.00 pm. This will take place at Elmdon Lodge, Peter & Marie’s home. This is first left as you go out of the village on the way to Chrishall. If you would like to take part, please let me know in advance, by email. 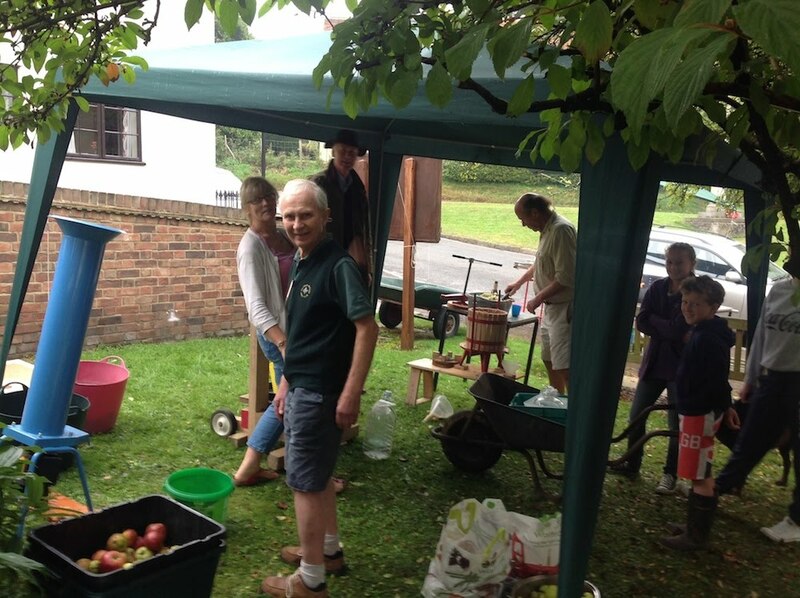 2014 will be the sixth year we mash and press apples in Elmdon during the autumn. The result is always copious quantities of wonderful tasting apple juice, which can be used to make cider, or just for drinking fresh, or for freezing / pasteurising. Due to good weather, the apple crop seems to be ripening early, so we propose to hold the pressing session in September instead of October. Since the Elmdon Dial remains closed, we will again hold the pressing at the Elmdon Village Hall. As the pressing takes some time, and results in queues of people waiting for the machine, we have an additional press this year. Also, I am in process of repairing the apple crusher which we were unable to use last year. 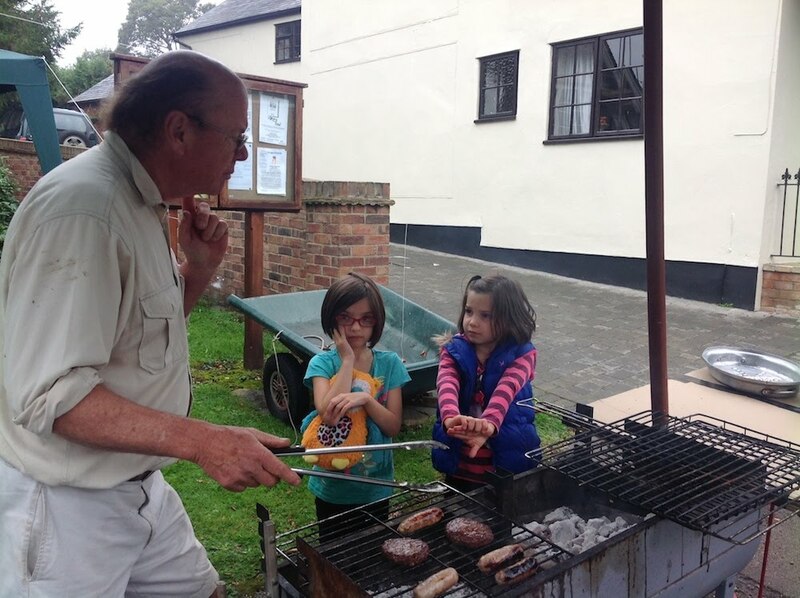 To make it a little more welcoming, and fun for the kids, Peter and I will also be setting up a barbecue which we will keep going during the day from 12.00 onwards. Please feel free to bring along your own food, cook it yourself over the hot charcoals and socialise. Come along, enjoy the fun of chopping apples and squeezing the juice out. We will also have the traditional tray and hand mashers for the children to have a go. If you will be using the juice to make cider, the tasting competition will be held round about May 2015 as usual. If you need any items to make the cider, please let me know in advance so that I can get sufficient supplies in. Please note that Jo Walker at Kings Cottage North has a large amount of apples and is happy to offer these to budding cider makers. Please contact her directly to arrange. 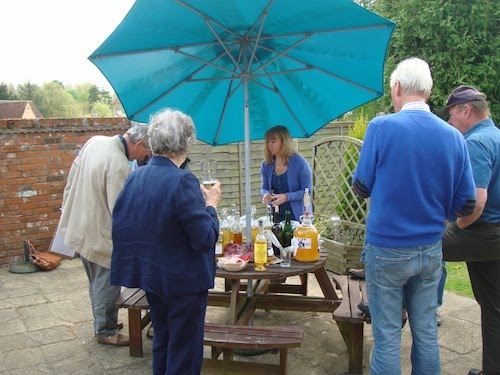 The time for tasting the home made ciders has arrived, and with beautiful weather hoped for, the tasting will be held in the garden of The Elmdon Village Hall from 1.00 pm onwards on Saturday 28 June 2014. Last years’ results are shown below. Come along and see if you can knock the expert Bowyers off the top spot, as they have won two year’s running. Or maybe they’ll let us in on their secret. With the pub regretfully still closed, we don’t have so many social events. 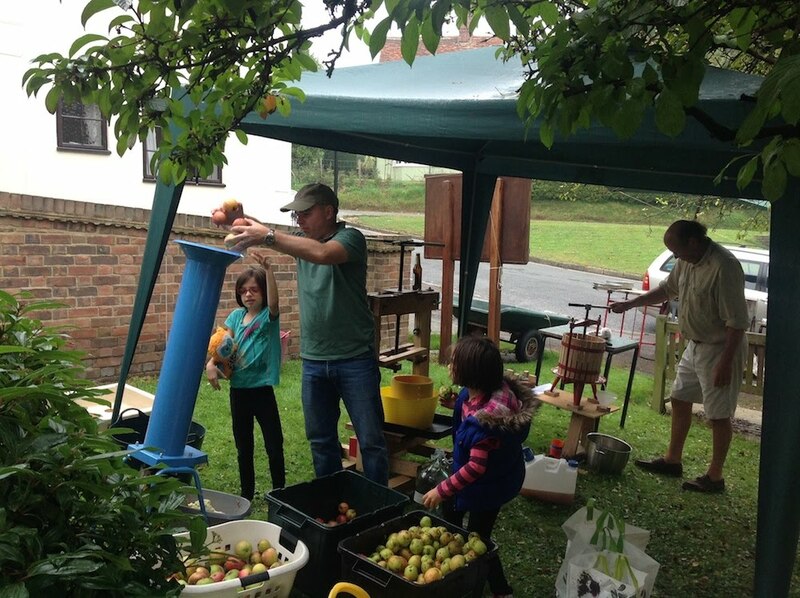 So, as with the apple pressing event in October last year, we will have a hot coals barbecue for you to bring and cook your own food and socialise.